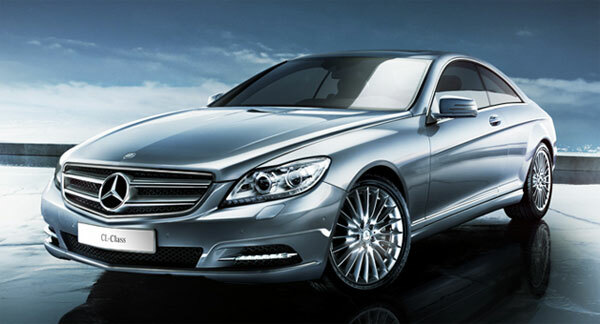 Luxurious and fancy new cars are highly sought after by consumers. The exciting powerful engines, the sleek design and high tech features—they are the ultimate in automobile class. However, many consumers neglect to consider the true cost of owning a high-end luxury automobile. Below is a concise list of the five most expensive cars to own and maintain. Even if you are not planning on buying one of these automobiles, it is always recommended that you investigate how much your future car will cost to repair, how much fuel it will consume and how much your insurance will cost. The following list was compiled by calculating the cost of ownership once the car is driven off the lot. Interest, insurance costs, fuel costs, depreciation, repairs and maintenance were all considered over a period of five years. Edmunds.com combines all of these factors to create a True Cost of Ownership (TCO). The TCO does not include the MSRP. If you happen to be a mechanic or have a close friend who is, you can remove a large portion of the repair costs by doing them at your own home. With the wide selection of discount automotive lifts available in-store and online, it can be very inexpensive to set up a home garage. This classy vehicle is designed for high speed, long distance journeys. The MSRP is $209,000, according to Mercedes-Amg.com. A primary cost of ownership comes in the form of fuel, which is $19,000. Insurance for a five-year period is estimated to be $34,341. Maintenance can cost up to $7,000. Repairs are extremely expensive on all Mercedes Benz automobiles; this particular model can expect close to $3,000 in repairs. It will depreciate by $145,000 over this period. According to Edmunds.com TCO calculation, it costs $250,000 to own the CL-Class CL65 AMG. This German sports car has become an instant icon in automotive design. Its attractive aesthetics and powerful engine earned the respected position of pace car for both the British Superbike Championship racing series and the Deutsche Tourenwagen Masters, according to CNBC. AudiUsa.com, Audi’s American branch, lists the MSRP at $162,700. Due to possessing incredible power, its fuel costs are estimated to be $18,000. Routine maintenance will cost another $6,500. Average repairs will run another $2,500. It is expected to depreciate by $123,000 in the first five years. Edmunds.com calculates the TCO of the Spyder to be $209,000. This classic Porsche was originally designed in 1963, and has routinely won many automotive competitions, such as 24 Hours of Le Mans, Daytona and Nurburgring. It has continued to be redesigned and reimagined over the decades. The 2011 model carries the name Turbo as it can go from 0 to 60 miles per hour in 3.2 seconds. All of this performance comes at a high price. It will initially cost $172,100, according to the Porsche.com MSRP listing. Fuel costs are estimated to be $15,000 over a five-year period. Maintenance and repair costs together equal an average of $10,000. Edmunds.com has calculated the TCO of this exciting 911 Turbo to be $170,000. Thanks to holding its value better than any other on this list, it possesses an estimated TCO that is lower than its MSRP. One of the first executive size sedans Mercedes-Benz released since 1995, it possesses many luxurious features, such as a Bang an Olufsen surround-sound system and high power LED lights. This four-door sedan has a suggested MSRP of $99,050, according to Mercedes-Amg.com. Insurance and interest alone combine to create an additional $30,000. As a sedan, it weighs more than most Mercedes-Benz coupes. It requires a more powerful engine, resulting in an estimated $20,000 in fuel costs. Maintenance and repairs tack on another $9,000. Edmunds.com estimates the TCO of this car to be $132,000. This four door SUV marks Porsche’s first attempt at entering the luxury SUV market in 2003. Porsche.com suggests an MSRP of $106,000. It is estimated to depreciate by $71,000 within the first five years. Surprisingly, its fuel costs are actually lower than many other automobiles on this list—an average of $16,000. Its maintenance and repair costs average $8,000. Edmunds.com estimates the TCO at $128,000. You may have noticed that every car on this list is from a foreign auto manufacture. This begs the question, is it more expensive to own a foreign car? As far as the high-end market is concerned, the answer is yes. Parts are more difficult to come by and therefore more expensive. However, many foreign cars are cheaper than their American counterparts in the economy class. Kia is generally less expensive than Ford, for example. These five expensive cars illustrate that many times the cost of owning a high-end car can be more than the sticker price. Thoroughly research your potential new car’s cost of ownership before making your purchase.